Donald Trump’s decision to release the JFK assassination documents hidden from the public for the last 54 years will hopefully shed light on areas of the conspiracy that until now researchers had been unsure of due to a CIA/government-coordinated campaign of media disinformation and cover-ups. Thanks to the work of some excellent journalists, some deathbed confessions and various leaked documents over the years, we have a pretty good idea today what happened so long ago in Dallas to a President who wasn’t suppose to win and was hated by our controllers as much as President Donald Trump. The recent release of documents shows that the CIA openly funded terrorism and worked with the Mafia to carry out assassinations for the government. So really, nothing much has changed. 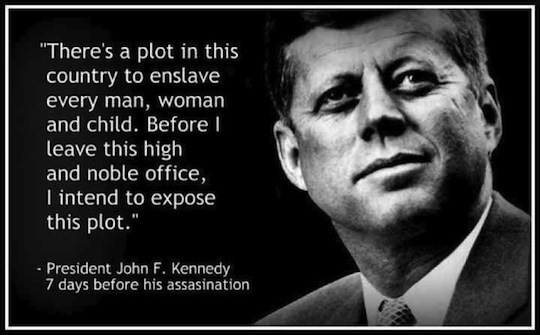 I believe that understanding the Kennedy assassination is important for every American today because we are still controlled by psychopaths just like we were in 1963, and we need to be vigilant. John Kennedy’s father was the son of a Boston businessman and politician, married to the Mayor of Boston’s daughter, became a successful Hollywood Producer, a bootlegger, a smuggler, and the Ambassador to England in the years leading up to WWII. After the war, he was determined to have one of his sons become President. During his time as ambassador in England before the war, Joe Kennedy became good friends with Neville Chamberlain, England’s Prime Minister. Kennedy and Chamberlain discussed the real power behind the countries on both sides of the Atlantic such as the International Bankers and their Central Banking system, as well as the secret societies, Europe’s Black Nobility and other dark agendas of the globalist elite. Through Chamberlain’s tutelage, Kennedy began to understand that despite America’s isolationism, the global bankers would have their war and by hook or by crook America would be dragged into a war that FDR had sworn to voters he would keep us out of. What Kennedy probably didn’t know is that while FDR was promising to keep us out of the war which over 90% of Americans opposed, he was working behind the scenes with Churchill and the bankers to bring us into the war. It has since been proven that Roosevelt was made aware of the impending attack on Pearl Harbor and allowed it to happen in order for the US to be deceived into entering the war. After the attack on Pearl Harbor, public opinion quickly changed and soon recruiting offices were bustling. Historians have known about this heinous deception for decades and have kept it hidden from the public. 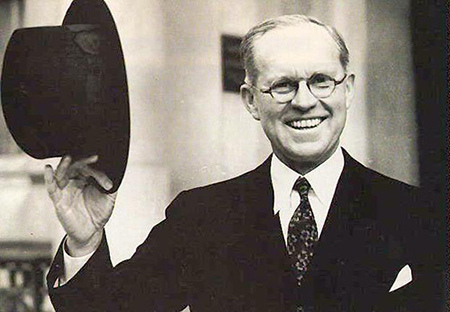 Chamberlain’s famed calls for appeasement were quickly drowned out by calls for war and he resigned. Kennedy, who felt an obligation to keep our boys from dying in an unnecessary war for the international banker’s was fired by FDR. Japan’s military was financed by Rothschild emissary Jacob Schiff’s Kuhn and Loeb bank, one of the oldest firms on Wall Street. Schiff’s Rothschild bank was also behind the Bolshevik Revolution and a major player in the machinations that led to World War I. The Bush family patriarch Prescott Bush was one of seven directors of Union Banking Corp, a New York investment bank owned by the German industrialist, Fritz Thyssen, an early supporter of Adolph Hitler and a major supporter of the Nazi Army. Union Bank was later seized by the Federal government. Prescott Bush got a slap on the wrist in the same way that Hillary Clinton is being protected today. The crowd that killed Kennedy is the same crowd that hates Trump and will not stop until he is out of the way. Tucker Carlson had a disappointing segment on his show recently featuring so-called JFK expert Larry Sabato from the University of Virginia. Sabato is either a disinformation shill for the elite or a complete moron who has clearly spent no time seriously studying the event. He dismisses reports that Oswald worked for the CIA, despite the evidence and testimony from people who knew him. Nothing to see here. thanks for nothing Larry. I am mostly disappointed in Tucker Carlson though. Tucker should be ashamed for airing garbage like the Sabato interview and being so ignorant of the facts of the case. How could he have on a putz like Sabato when someone like Jim Fetzer is available? I wouldn’t trust any network that features hack authors like Gerald Posner spinning their lone gunman fantasies. Enough evidence now exists to know beyond any reasonable doubt that there was a vast plot to murder Kennedy that involved the US Military, the CIA and a number of very rich and powerful men including Vice President Lyndon Johnson. Jack Ruby said that the public will never know the truth because the people behind the assassination were in high positions of power. 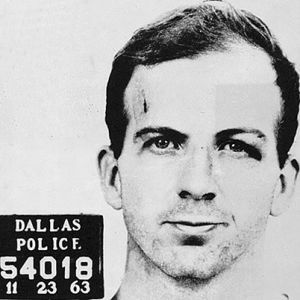 Oswald joined the Louisiana Air Patrol when he was 15 and was under the supervision of David Ferrie, a longtime CIA Operative and pilot later suspected of involvement in the Kennedy assassination and portrayed by Joe Pesci in the movie JFK. Ferrie was also a private detective who had an office in mobster Carlos Marcello’s attorney’s office. Marcello was also a suspect in the plot to kill Kennedy. Also in the Air Guard unit reporting to Ferrie, and who has been found in pictures with he and Oswald was Barry Seal, infamous CIA pilot and government drug smuggler currently being portrayed by Tom Cruise in the not so true movie “American Made.” Seal’s real story is far more interesting than this Hollywood farce. Seal also joined the Air Guard at 15 and was flying weapons to freedom fighters on dangerous night flights to Cuba for the CIA when he was still in high school. Most of the young men in the Air Patrol transitioned into the military or in Seal’s case and others, recruited into the CIA. Pilots would be in big demand at the Agency in the ensuing years and Seal was one of the best. Seal would also play a role in the Kennedy assassination as the pilot and member of an elite assassination team known as Operation 40, suspected of killing the President. Operation 40 was said to have been assembled by George H.W. Bush himself and included several known hit men and operatives, including Frank Sturgis, a longtime CIA operative, and assassin who would later be arrested as one of the Watergate burglars. Another Operation 40 member who was a known associate of Frank Sturgis, Jose Perdomo, would surface in 1980 as the doorman and chief accuser of John Lennon’s so-called killer Mark David Chapman. As a young woman, Marita Lorentz began an affair with Fidel Castro and was subsequently recruited into the CIA where Frank Sturgis became her handler. Lorentz often times worked with members of Operation 40 and she believed Oswald to be a member of the group. She also said that Jack Ruby knew members of the group and met with several of them in the days before the assassination. Sturgis is believed to be the shooter that fired the shot from the intersection of the triple underpass from an above ground sewer opening that blew out the back of Kennedy’s head. Operation 40 also boasted Porter Goss, future Congressman, and Director of the CIA, Felix Rodriguez longtime operative, a friend of Daddy Bush and the man who is credited with tracking down and killing Che Guevara. Orlando Bosch, another friend of Daddy Bush, known as “Doctor Death and Luis Posada Carriles, who, along with Oliver North, would later receive Presidential pardons from Bush for their crimes during Iran Contra. Guillermo Novo Sampol was convicted of murdering Chilean diplomat Orlando Letellier whose car blew up in Washington D.C. The verdict against Sampol was quickly overturned with the help of his friends in high places in D.C.
Howard Hunt, one of the most infamous of CIA operatives in the agency’s history and more than likely the on-site supervisor, after years of denial, would finally admit being in Dallas that day and to his involvement in the Kennedy assassination to his son on his deathbed. He told his son that LBJ gave the order to the CIA hit team and helped guide the cover-up. Other known CIA killers involved that day include David Morales, who along with Felix Rodriguez, tracked and killed Che Guevara. He was one of Hunt’s guys and no doubt a senior member of the operation. Morales was a legendary figure at the CIA and often drunkenly boasted of his involvement in the JFK hit as well as the assassination of Robert Kennedy, where he was identified along with at least 2 other known CIA killers who were in the room at the Roosevelt Hotel when RFK was killed. Hunt referred to Morales as a cold-blooded killer who took the toughest assignments. Another of Hunt’s guys, a close associate of Morales, and believed to have been positioned as a spotter in the Dal-Tex building was Nestor Izquierdo. Izquierdo was trained as an assassin and was part of a Cuban hit squad led by Morales. Another known CIA asset later seen in photos on November 22nd in Dealey Plaza was longtime Morales associate, Rip Robertson, possibly another spotter for the shooters who clearly caught JFK in a well-planned crossfire. Morales even boasted to his attorney of his participation in the assassination and once told a fellow operative he wasn’t afraid of the authorities catching up with him, rather, he was afraid of other spooks coming for him because he knew too much. Gary Patrick Hemmings was sheep-dipped into the CIA from the Marines where he had been Oswald’s Sergeant a few years earlier in Japan. Many believe that Malcomb “Mac” Wallace was the shooter at the book depository in the window we have been told Oswald was shooting from. Wallace was considered LBJ’s personal hit man and was a suspect in a number of killings. A fingerprint found in the crow’s nest on the sixth floor was a 14 point match to Wallace. Another Longtime CIA operative and pilot was Tosh Plumlee who testified that he knew Oswald and met him during intelligence training in Nags Head N.C. and later at Oahu’s Wheeler Air Force Base and then again later at an Alpha 66 safe house in Dallas. Plumlee admits to being in Dealey Plaza that day but claims he had tried to stop the assassination. On November 22, 1963, Mac Wallace, David Morales, Gary Patrick Hemmings, Frank Sturgis, Nestor Izquierdo, Orlando Bosch, Luis Posada Carriles, Guillermo Novo Sampol, Tosh Plumlee, and E Howard Hunt were all in Dealey Plaza when Kennedy was murdered. Barry Seal was also in Dallas that day. So was Daddy Bush. The government maintains that the CIA was not involved and you’re a conspiracy theorist if you think so. The next time these many CIA killers were found to be in the same place was when Bobby Kennedy was assassinated a few years later. The disinformation agents like Larry Sabato, whose job it is to lie to the public and mislead them about important events in our history, will never talk about the mountain of evidence of CIA involvement and Lee Harvey Oswald’s true role in the assassination. I spoke with Judyth Vary Baker on Jim Fetzer’s Show about her book, “Me and Lee” and Oswald’s involvement and association with the CIA and David Ferrie. She verified that she was Oswald’s girlfriend during his time in New Orleans and that Lee worked with the CIA, as did she. Everything the public knows about Oswald was part of his intelligence profile. The Russian defection, the trip to Mexico before the assassination, his contact with the Cubans, all of it. Judyth said she worked with David Ferrie and said Oswald and Ferrie were still acquainted. She also said that Oswald and Jack Ruby knew each other before the assassination, which these newly released documents verify. She also said that Oswald would never have participated in a plot to kill the President and that he was trying to stop it. 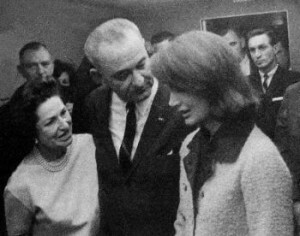 Judyth’s story was featured in the series, “The Men Who Killed Kennedy” but has largely been ignored by the media. A book released in the 1980’s called, “There’s a Fish in the Courthouse” by a former Navy Veteran turned L.A. Police Detective named Gary Wean, who was good friends with World War 2 Medal of Honor winner turned actor Audie Murphy. In one of the chapters, he tells an unbelievable story about Murphy, his good friend Dallas Sheriff Bill Decker, and their meeting with Republican Senator from Texas, John Tower, who told them what really happened in Dallas that day. Decker made frequent trips to L.A. and would always have dinner with Murphy and Wean when he was in town. Two weeks after the assassination Decker was in town and met the two for lunch. The topic quickly turned to the assassination and that weapons experts across the country didn’t believe the official version was possible. Decker told them that he knew Oswald was not the shooter and that he’d been contacted by someone important that had vital information about the assassination but did not trust anyone in Dallas or Washington. Murphy and Wean flew to New Mexico and met with Police Chief Decker and his friend he introduced as John. According to John, Oswald was a longtime US intelligence agent under the direction of longtime CIA operative E. Howard Hunt. Oswald was no doubt recruited from his days as an Air Patrol Cadet the same way Barry Seal was groomed to be a star on “Air America” heroin runs or flying Cocaine into one of Bill Clinton’s forested Mena runways without any lights. Oswald, according to John thought he was taking part in a “planned to fail” assassination attempt on Kennedy that would be blamed on Castro, but went live. John also related that JFK wasn’t aware of the plan but military intelligence, the FBI, and the CIA were all involved. This was reminiscent of Operation Northwoods, which called for government-sponsored terror attacks on US citizens to curry support for an invasion of Cuba. This sounds like a “problem-reaction-solution” plan that was cooked up in Langley. In the last printing of his book in 1996, Gary names “John” as John Tower, the powerful US Senator from Texas and good pal of George Bush. The New York Post called newspaper columnist Dorothy Kilgallen, the most powerful female voice in America. Her column was syndicated In over 200 newspapers and Ernest Hemingway, a friend, called her the greatest female writer in the World. Dorothy and her typewriter had a bigger audience than Oprah and Cable TV 30 years later. Kilgallen was more than just a gossip columnist, she was a talented investigative reporter who developed sources no one else had. She jumped at the chance to cover the trial of Jack Ruby and was the only reporter at the trial to get an interview with Ruby. She was never able to let the investigation go until her death. In his book, “The Reporter Who Knew too Much” Mark Shaw makes a compelling argument that Kilgallen was murdered or suicided by notorious mobster Carlos Marcello, who feared her 18-month investigation. There is little doubt foul play was involved. Accidental overdose of alcohol and barbiturates was the official cause of death but Dorothy was a one drink gal, rarely having more than one, and an autopsy found two drugs in her system she had no prescription for and wasn’t known to take. Dorothy had one last trip planned to New Orleans to meet with her mysterious source before she finished her expose. Kilgallen told her attorney shortly before she died, “I’m going to break the real story and have the scoop of the century”. Sadly it wasn’t meant to be. The men who Kennedy wanted to be fired and likely killed him, ended up presiding over the cover-up that exonerated them. The CIA hated Kennedy in 1963 and they hate Trump today. The media keeps assuring us that the intelligence agencies are unbiased professionals with no political ax to grind, but The truth is they have never been. They weren’t with Kennedy and they haven’t been with Trump. Kennedy had angered the Mafia, the Military, The Federal Reserve Bank and David Ben Gurion, the Prime Minister of Israel because Kennedy told him no to Nukes. Kennedy’s refusal to green light the Bay of Pigs invasion and the bankers planned war in Vietnam, however, may have been his bridge too far. The coming conflicts our controllers have planned for us will have little to do with the real reason we will send our children off to war. Nixon’s sins had little to do with break-ins and cover-ups and more to do with getting too chummy with the Russians and Chinese. Trump and his generals don’t sound very convincing when they talk about diplomacy. Mad Dog Mattis gets a gleam in his eye every time he says “all military options are on the table”. It reminds me of when George W. told us no decision had been made to go into Iraq and no one believed him. War can hide a lot of economic woes and America is going bankrupt state by state. So far Trump has been a compliant war monger and that is bad for Americans. Our government creates armies of terrorists around the globe to justify our presence in areas we choose to exploit, and then lie about who the bad guys are. The CIA-controlled media soft sells brutal and unconstitutional government agenda’s and misdirects and disinforms the public about everything important. The House Select Committee on Assassinations concluded in a report that was finalized in 1979 that there was a conspiracy to assassinate President Kennedy and that there was more than one shooter that day. Here we are 41 years later and the media continues to push Lee Harvey Oswald as the lone gunman, and dopes like Gerald Posner are still selling books pushing these lies to an uninformed and gullible public. They can’t stop lying when everyone knows they are lying. Do you think you can trust them to report honestly on anything?